Vor einiger Zeit habe ich hier gezeigt wie ich meinen Schwertkasten unten abgedichtet habe, indem ich ihn mit Epoxi ausgeschwemmt habe. Fotos davon habe ich seinerzeit nicht gemacht, aber eine Zeichnung der Arbeitsvorgänge angefertigt. 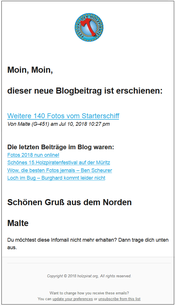 Mittlerweile haben dem Hören nach zwei, drei Leute es zum Vorbild sich genommen und ebenfalls so abgedichtet. Ich freue mich, dass ich damit helfen konnte und besonders freute es mich als sich Sven H. bei mir mit Fotos meldete. Hier kann man also sehen wie er mit Hilfsleisten den Silikondamm aufgebracht hat, der später das Epoxi daran hindert in den Rumpf zu laufen. 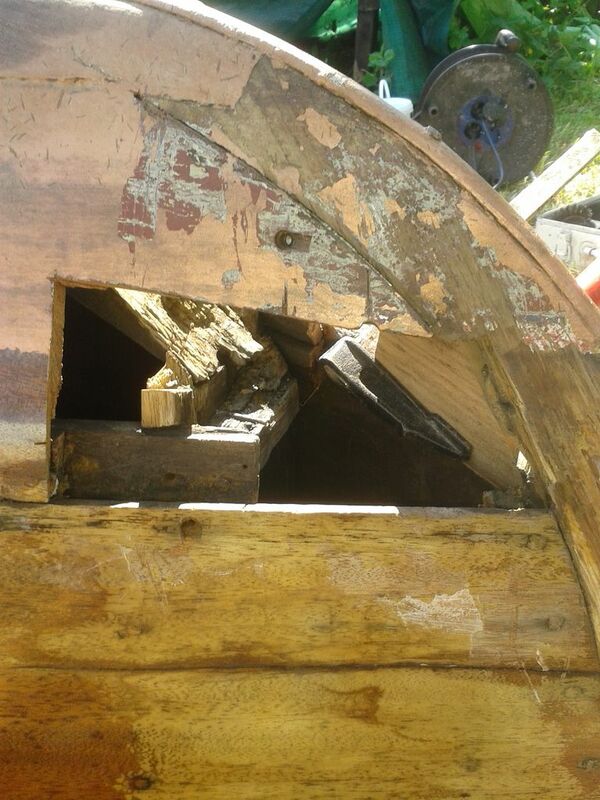 Zum diesjährigen Holzpiratenfestival plant Sven mit seinem Boot vorbei zu kommen (nach zweimal gucken – siehe hier), so dass ich mir das ansehen kann. 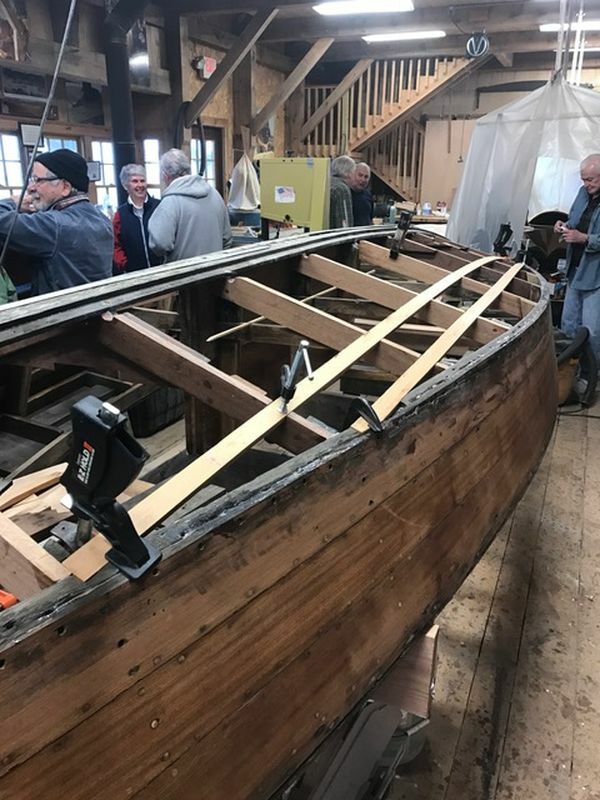 Heute möchte ich euch einen Holzpiraten vorstellen, der an einem weit entfernten Ort restauriert wird: Long Island, USA (genauer: hier bei LISEC). 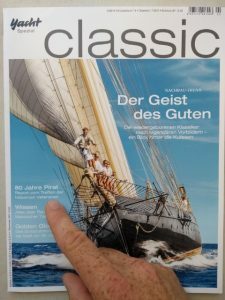 Der Kontakt ist bislang leider nur sporadisch, daher konnte ich noch nicht viel über dieses Boot in Erfahrung bringen. 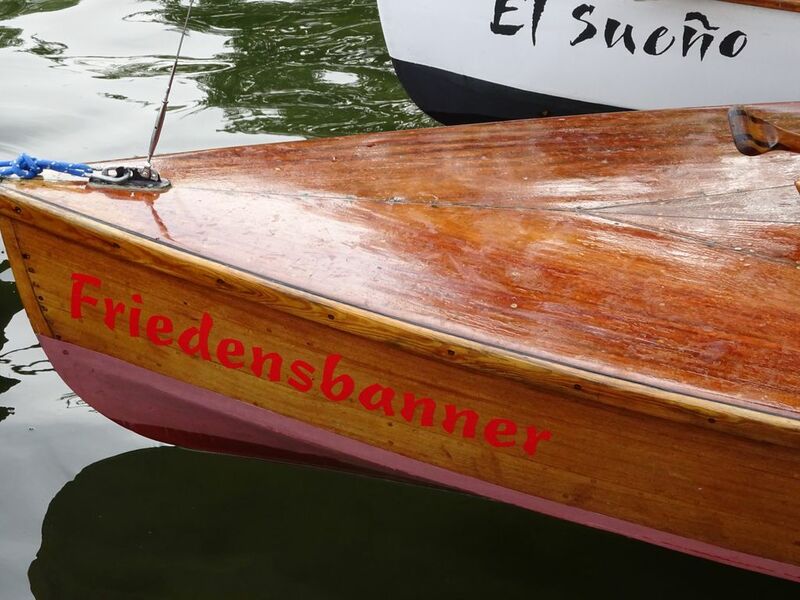 Auch ist im Moment nicht klar wann und wie das Boot über den Teich gelangte. Es ist ein VEB Bau soviel ist sicher, aber vieles andere ist unklar und ich hoffe noch mehr zu erfahren. Bis dahin erfreue ich mich über diese ersten Bilder. your page is very helpful. I can’t express my gratitude to all the information you are providing. 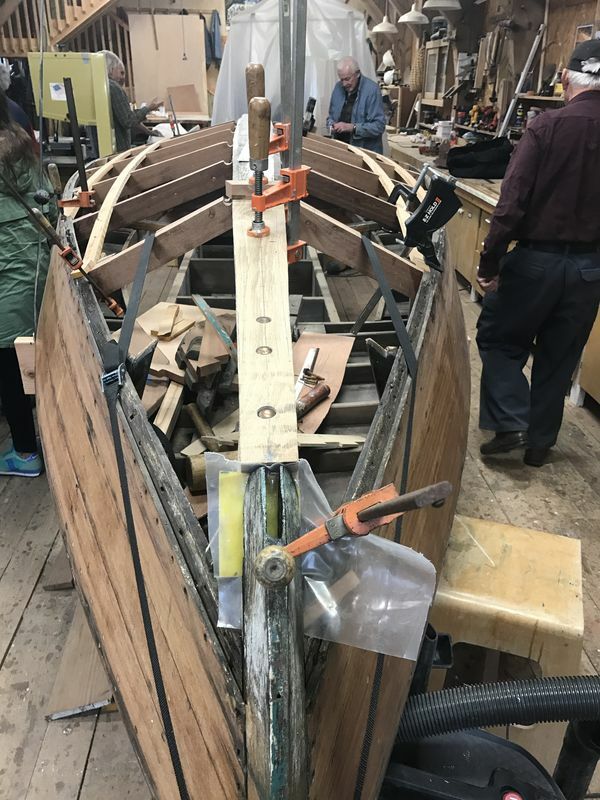 We continue to work on the Pirate. 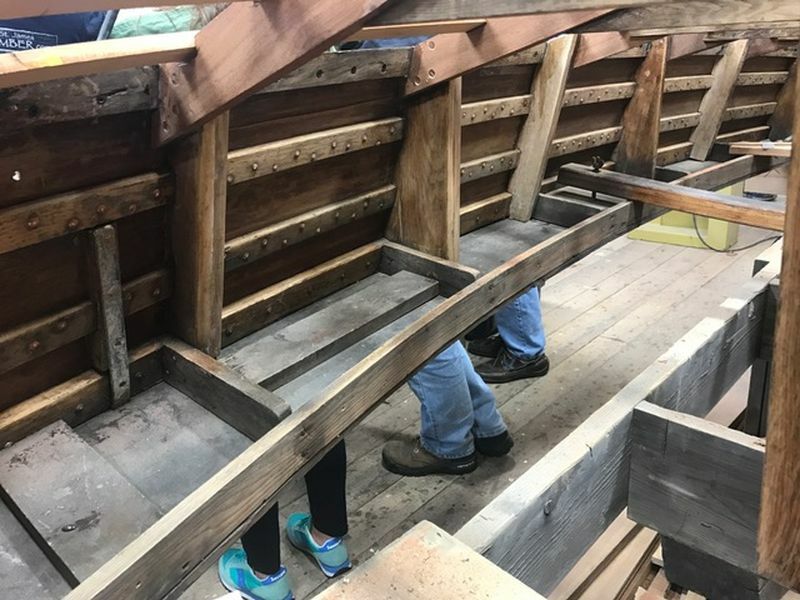 We’ve removed all of the hull planking as they were too rotten to repair. 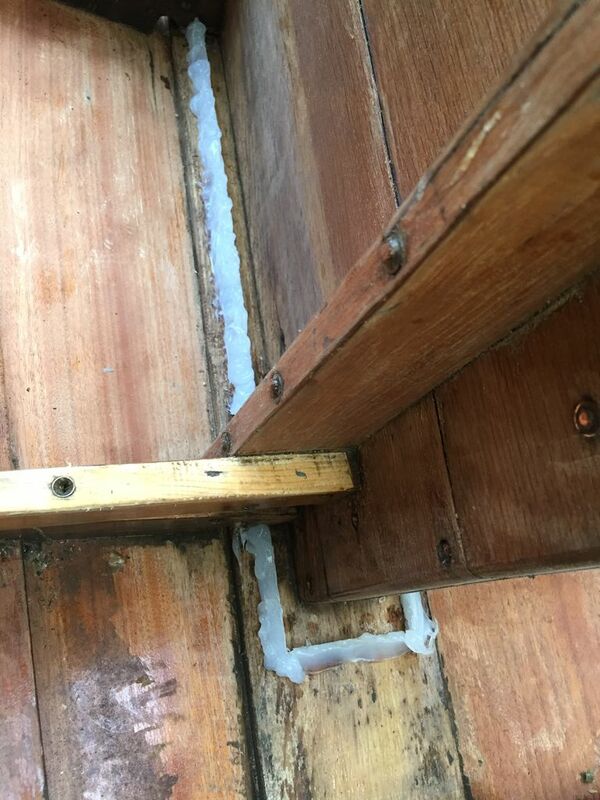 We have reinforced the keel with epoxy to make it stronger. 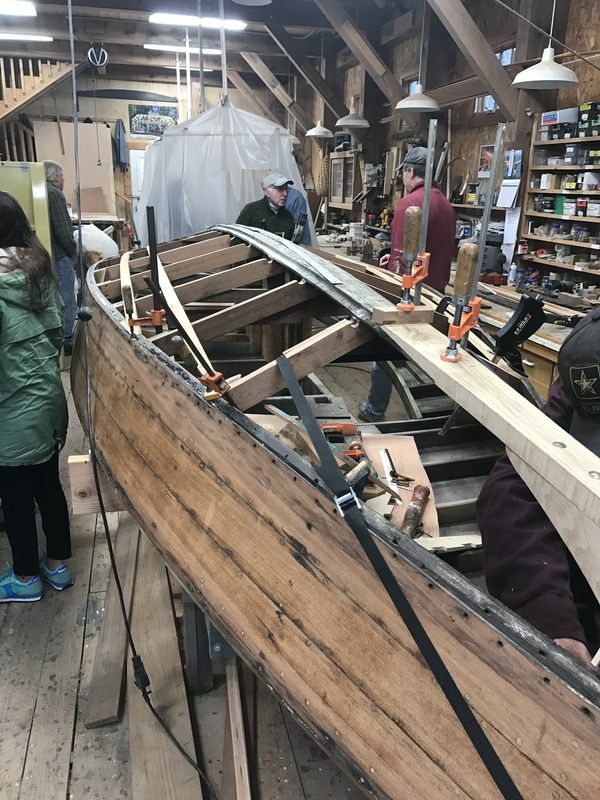 We now are beginning with replacing the ribs. We are swapping out the oak for a mahogany for ease of use. In the process an issue was observed. 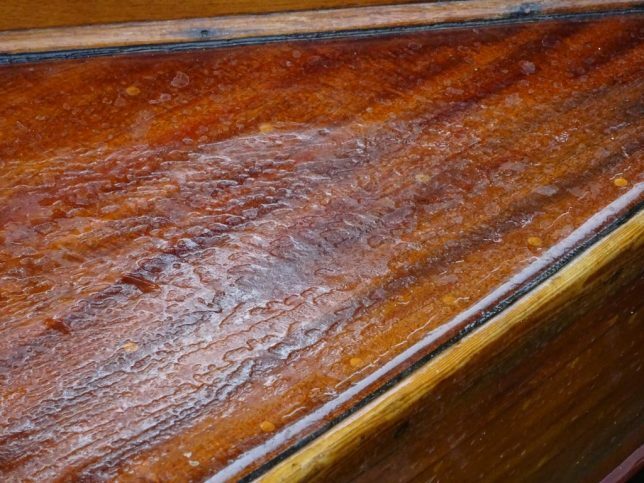 On the hull planking that is adjacent to the chine, where the water line is, the hull plank bows out slightly and is not flush. It is actually wavey in parts. 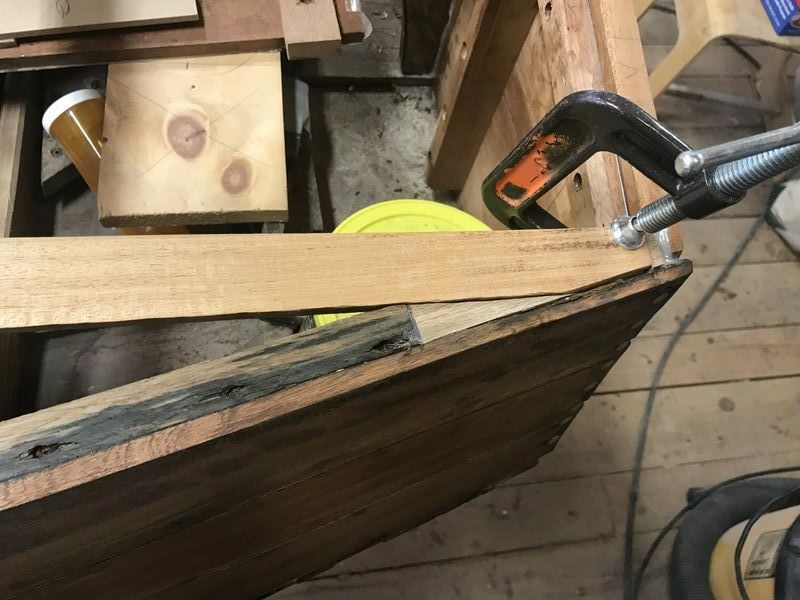 The condition is only observable when we place a ruler along the plane but it is an item that has us concerned whether these entire planks need to be replaced. 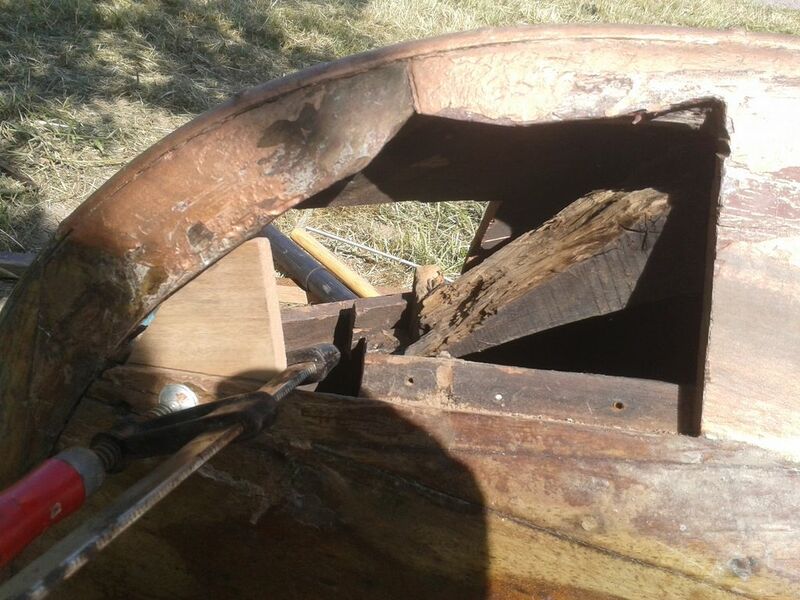 The alternative is to soak or heat the wood an hope that they return to flush. Have you encountered this or know of someone involved with your festival? I’ll take some photos so you can visualize the issue we are facing. Thanks for saying hello. The Pirate is coming along. Most important, she has earned a name: St. Gallen. Attached are a bunch of updated pictures, which i took this morning while at the shop. She has new ribs made of Mahogany. We’ve reinforced the sisters with oak. 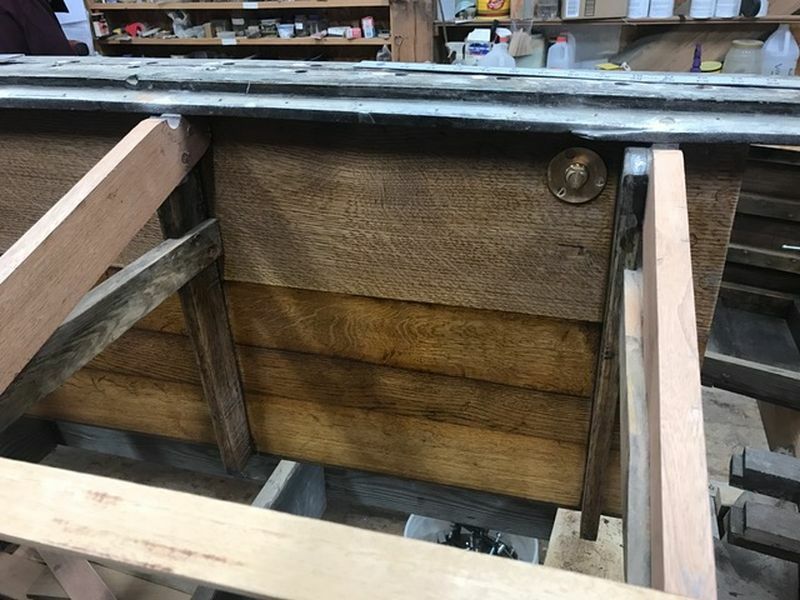 Rebuilt the centerboard trunk with the old wood and some new oak. Bronze hardware. 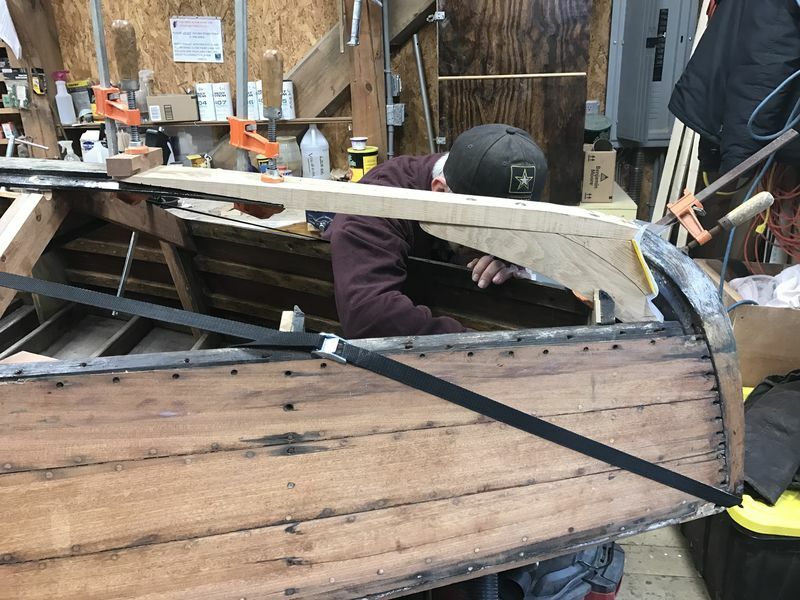 New Mahogany transom. 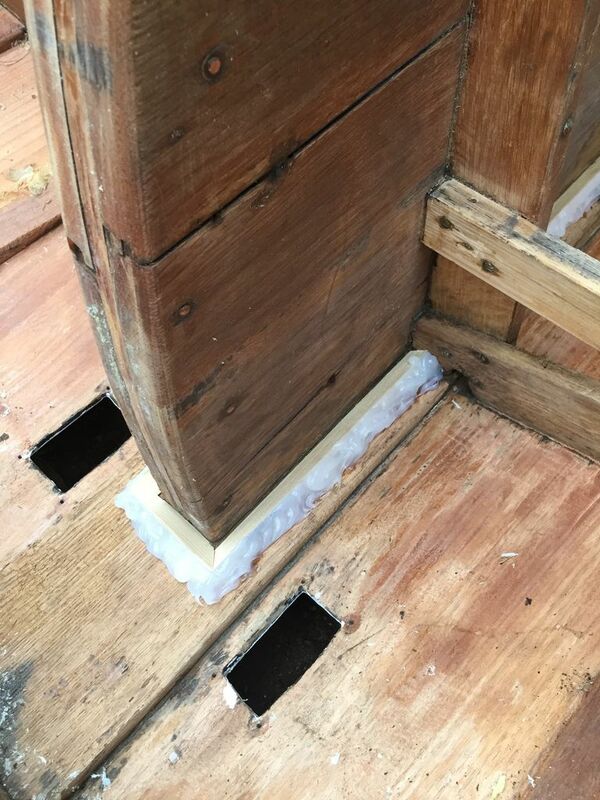 Original floor board supports. 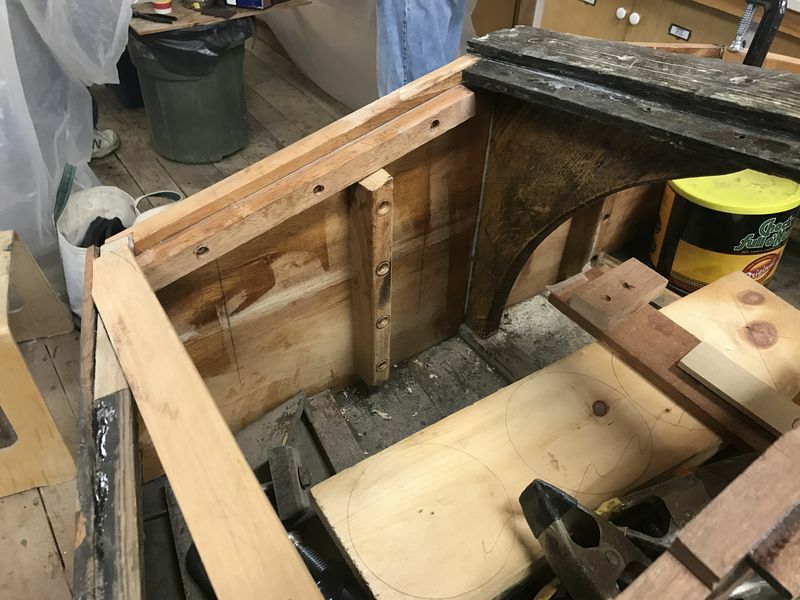 We are working on replacing a part of the keel at the stem and knee. 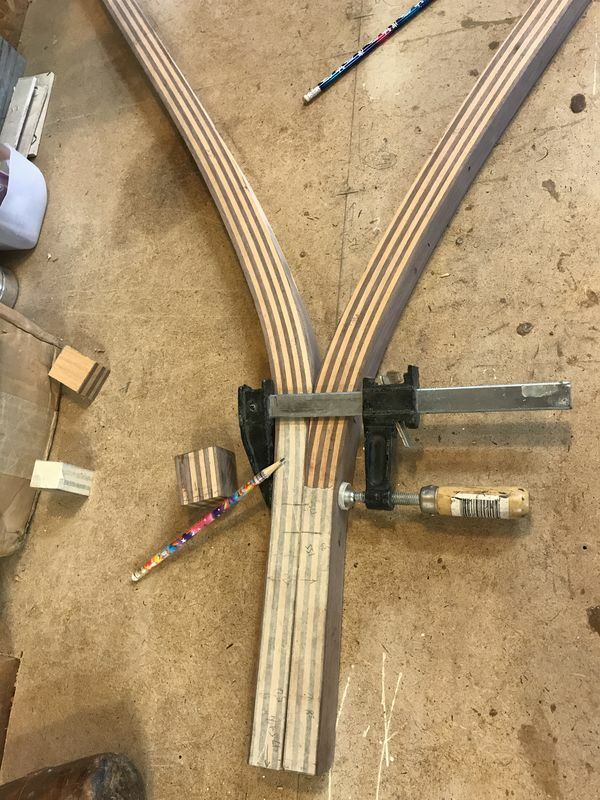 New battens (2/4 cut and fit) all made from Mahogany. There has been loads of sanding. 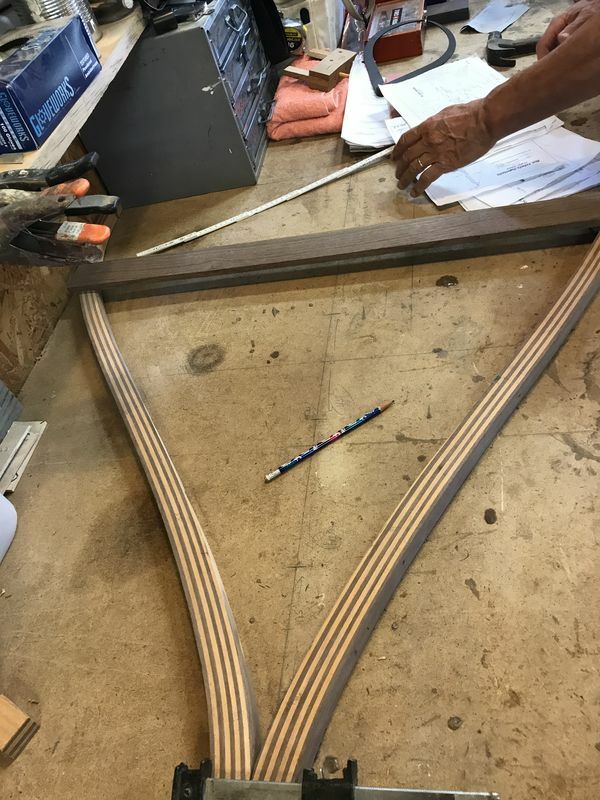 We should be ordering the hull wood and wood for the soars in the next 6-8 weeks. 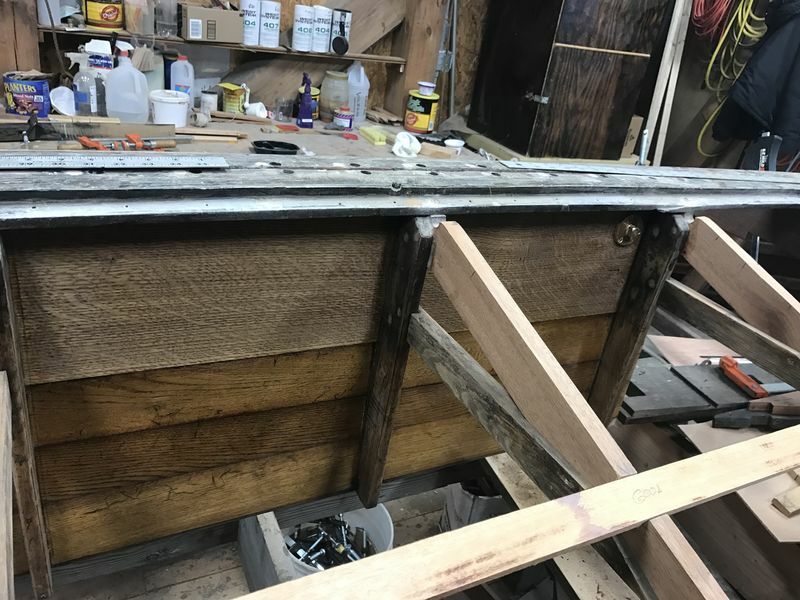 I’ll send you more pics as we continue to progress. 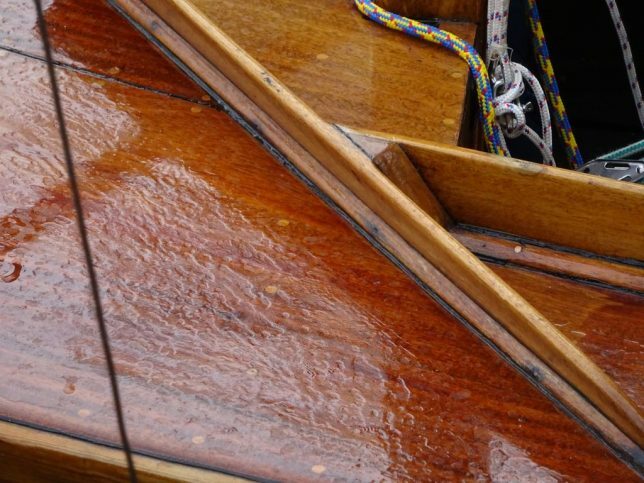 The tiller is combination of Mahogany and American walnut that was laminated together. We are using a walnut cross support. It is coming out wonderful and will be ready for varnish in the next week or so. 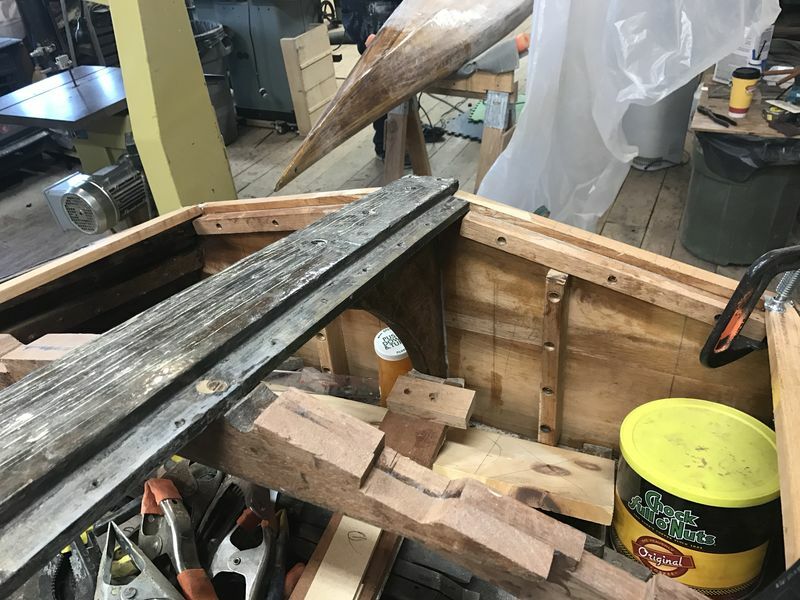 We have completed the new knee and just ordered the hull materials and spar materials. 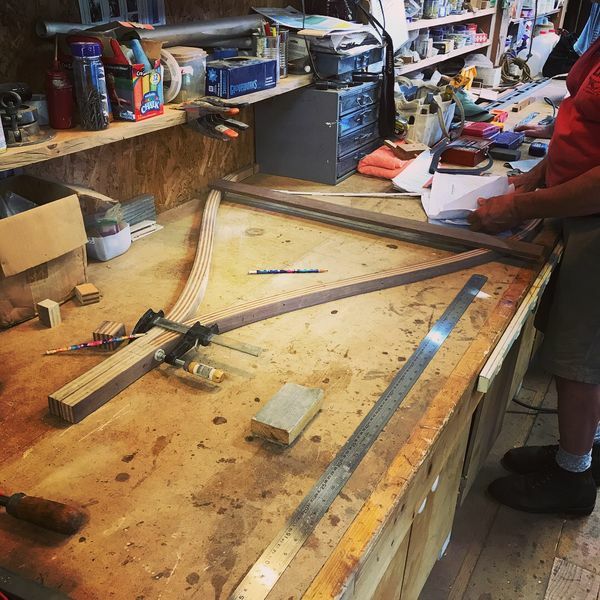 We ordered a 5 mm thick okume which we will lay two layers for the hull and also got two beautiful pieces of Sitka spruce for the spars. All will be delivered Tuesday. 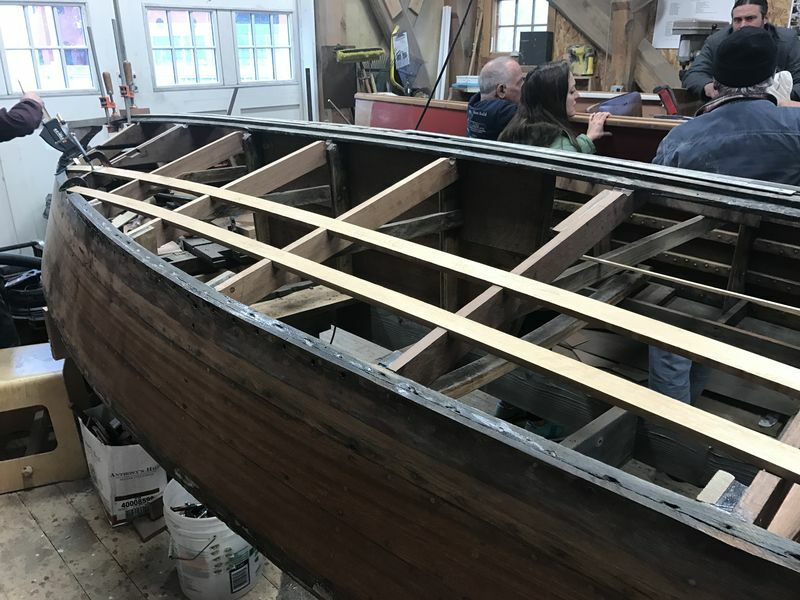 All for Battens have been installed with the attachment of the last two battens to the knee being one of the last steps before the hull gets added. Seid ihr auch gespannt wie es weiter geht? Ich hoffe Robert meldet sich bald wieder.